There can be no military solution to the Nagorno-Karabakh (Artsakh) conflict, and we need to create an appropriate climate to reach a peaceful solution. The Prime Minister of Armenia, Nikol Pashinyan, on Monday stated about the aforesaid while responding to questions after his address at the European Parliament Committee on Foreign Affairs, in Brussels. Pashinyan noted, however, that Azerbaijan continues to make threats stating that it is ready to resolve the Karabakh conflict through force. 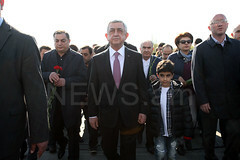 And the Armenian PM expressed a belief that, under these conditions, it is hard to expect a quick solution to the issue. Also, Pashinyan underscored the format of the Karabakh peace talks. He said it is internationally accepted that the Karabakh conflict has three parties, but, to this day, solely two of them were engaged in the talks, and Armenia and Azerbaijan negotiated without participation by Karabakh. As per the Armenian premier, this was so probably because the previous leaders of Armenia were originally from Karabakh, and therefore they held that they can represent the interests of Karabakh. Nikol Pashinyan added, however, that he is the prime minister of Armenia, and not of Karabakh, the latter’s residents do not vote in Armenia’s elections, they are not the citizens of Armenia, and therefore he cannot negotiate on their behalf. 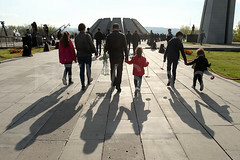 Consequently, as per the Armenian PM, the second part of the matter is that a corresponding format of talks needs to be created, but which is impossible without Karabakh’s engagement in this process.